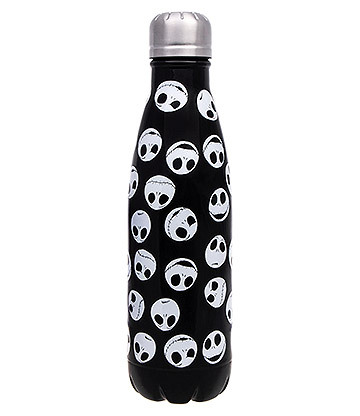 After becoming increasingly popular, our Nightmare Before Christmas merchandise is a must have for any fan. Perfect for any scene you’re in, our gothic accessories are a phenomenon here at Blue Banana. From pencil cases to notebooks, t-shirts to posters, our film merchandise is one of a kind. Now you can buy your much loved characters in the form of school stationary so you can become the envy of all your classmates. So without wasting time, check out our The Nightmare Before Christmas merchandise before it runs out. Best of all, our products have been tried and tested by us to assure you of the quality you will be receiving. Coming in the classic black and white colour theme, you can be sure our The Nightmare Before Christmas merch is completely genuine. If you’re about to go back to school or start college our gothic accessories are perfect additions for the classroom. For the highest quality film merchandise there’s nowhere better to search than Blue Banana. So for low cost Nightmare Before Christmas merch stop right there as we have just the products for you. As one of the most popular films in the world, our The Nightmare Before Christmas merch collection is extremely well-liked. Whether you’re after a gift for someone or fancied some gothic accessories for yourself, then this section is ideal for you. Luckily for you we stock all type of film merchandise from belts all the way through to files just so you look and feel the part. So what are you waiting for? Check out our awesome Nightmare Before Christmas merch range before it’s too late.